some cinnamon (if you like). 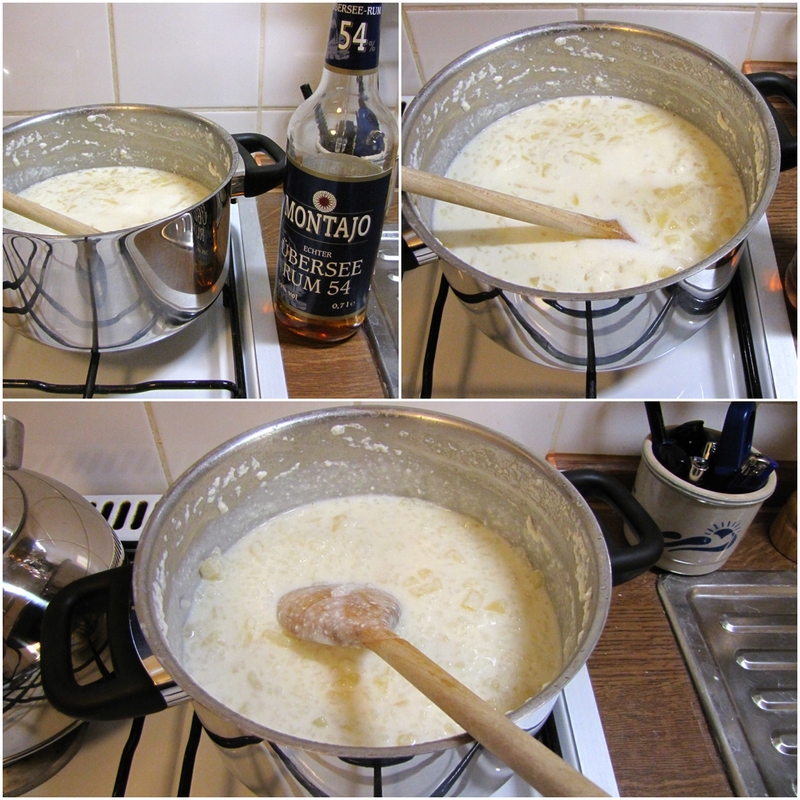 AND: My special ingredient: a good shot of rum - hey, I'm European, I am used to cook with alcohol ;). If you are planing to serve it to children, skip the rum in their portion. Today I added two chopped apples to the Milchreis to make it more juicy and "freshy". Put all the ingredients to a pot with a thick bottom and add as many milk that it's covered at least twice. If you want, add the apples as well. Boil up the milk and than cook it on the lowest level of your stove for about 20-30 minuts, until the rice is soft and done. Check the cooking time on the rice package. If you want to be sure that's ready, just try it. You might have to add some more milk if you see that it's getting too viscous. You can always add some extra milk when the dish is ready. Don't forget to stir the rice while cooking. That's why I told you to take a pot with a thick bottom - they won't burn your dish as fast as other. At the end of the cooking, add a good shot of rum. Try the Milchreis with some marmolade or crushed fruits.